Did Ahmed Mohamed’s Arrest Have Anti-Muslim Roots? Living in a post-9/11 world, there has been an understandable uptick in security concerns and measures. You can’t go through security in the airport without a ticket, the government has been able to monitor Americans for years without our permission, and noticeably, there is increased mistrust of Muslims, most of it unwarranted. By this point, you have likely heard the disturbing story of the arrest and subsequent suspension of 14-year-old Ahmed Mohamed at a high school in Irving, Texas. Mohamed brought a homemade clock into school to impress his teachers. Instead, his teachers reported him to the principal, who then reported him to the police. The school administration and the police chief of Irving, Texas, stand by the fact that they believed the clock to be a bomb (or a facsimile of one) and warranted Mohamed’s arrest. It’s dubious whether Mohamed’s clock constituted a true or a perceived threat after a serious look at the situation. Had his English teacher been truly concerned, there would have been an evacuation or some other effort to isolate the device. As of Wednesday, the Irving police chief, Larry Boyd, has indicated Mohamed will not be charged for any wrongdoing. This seems prudent, as it doesn’t seem like he did anything wrong. Mohamed has since stated publically that he will be transferring schools, and undoubtedly many will welcome him with open arms. On social media, the #IStandWithAhmed hashtag has taken off, hilariously documenting Mohamed’s supporters holding clocks in defiance. President Barack Obama, presidential candidate Hillary Clinton, and Facebook CEO Mark Zuckerberg have all lent their voices to support Mohamed and condemn the response to his creative clock. He has been offered an internship by Twitter, and been invited to visit both Facebook headquarters and the White House. While it is certainly heartwarming to see the overwhelmingly public positive response that emerged from Mohamed’s ordeal, many online are alleging blatant Islamophobia. The Council of American-Islamic Relations is actively investigating the incident. “I think this wouldn’t even be a question if his name wasn’t Ahmed Mohamed,” said Alia Salem, CAIR’s executive director for the Dallas-Fort Worth region. In fact, Gawker went a step further to list seven other kids who brought homemade clocks to school and were not arrested. None of them were named Mohamed. Although Mohamed’s story will soon become old news, Islamophobia in America isn’t going anywhere. The reactions of the school administration, teachers, and police to this situation are a cause for serious concern. There’s no doubt that a school must take every precaution to ensure the safety of its student body. Mirroring the dilemmas of national policy, at what point does ensuring the safety of others begin unjustly trampling others’ rights? Schools should be safe havens facilitating thoughtful discussion, tolerance and reasoned thinking, not harbors of fear and distrust. 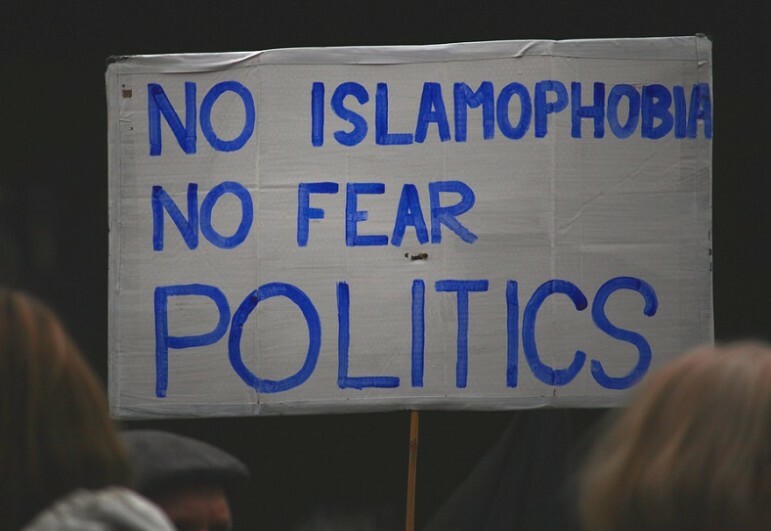 Islamophobia is a pervasive, ingrained attitude. Undoubtedly, Mohamed’s plight brings attention to the issue, but it is embedded in the system, most significantly by our country’s leaders. Irving’s mayor, Beth Van Duyne, who stands behind the police officers’ and school administration’s actions, has made some startlingly controversial comments herself about Muslims and Islam. Due to an earlier incident this year, Van Duyne has been described as part of a fringe movement that believes Muslims are conspiring to take over American culture and courts.